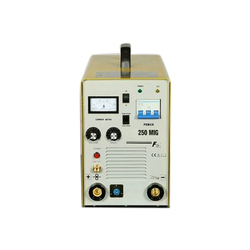 - Mig welding machine that are useful in fixings objects or mounting on any suitable surface. These diode & mig welding machines are manufactured using extreme quality of precision and hardened ground parts. These have high gripping power and are widely demanded due to dimensional accuracy, durability and toughness. Pioneer in the industry, we are engaged in manufacturing and exporting an impeccable range of MIG Welding Machine. 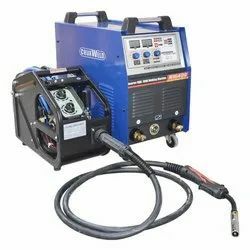 Backed by years of industry experience, we are engaged in offering a premium quality range of MIG Welding Machine. Wire Feeding Speed: 1.2 - 18 Meter/min. With the aid of our experienced team, we are devoted towards manufacturing an exquisite range of Bearing welding machine. we are the supplier & exporter of all kind welding machines like transfer welding machine, spot welding machine, Mig/CO2 Welding Machine, welding machine, electric welding machine & available to provide a good & wide range of all kind of welding machines.